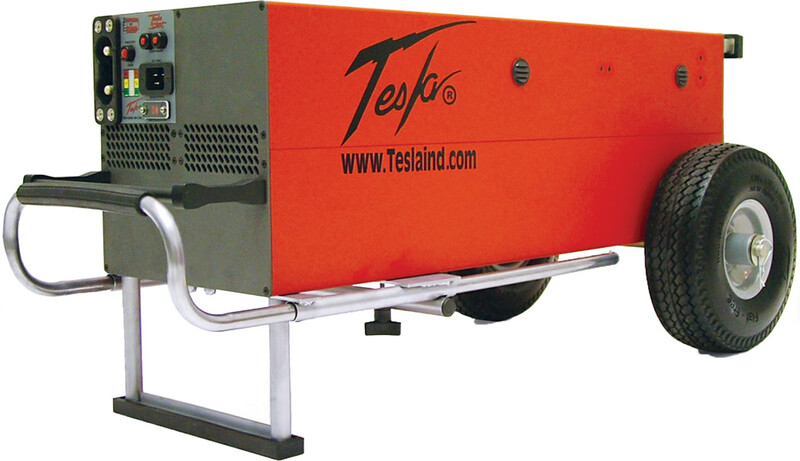 The TI3500 is one of Tesla’s™ most powerful systems. The unit provides over 2,048 watt hours without ac power and 142 amp hours (3,473 watt hours) with ac power. It will recharge in two hours from full discharge. Ideal for hangars, FOBs, motor pools, and deployments. Excellent for testing and troubleshooting (avionics, TMDE, electronics, and hydraulics). One person can easily maneuver and operate the unit. Will charge and condition vehicle batteries when unit is left connected to vehicle (ac power required). GPU will back-charge off a vehicle charging system (no ac required).